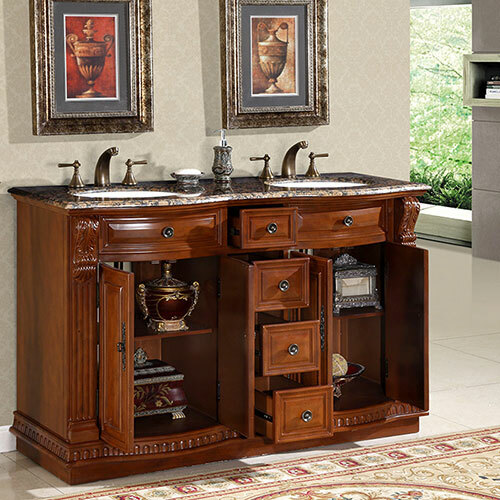 The 55" Caldara Double Bath Vanity is rich in detail and character. Beautiful beveled details can be found all over the doors and drawers, and hand carved details adorn the apron and side columns. 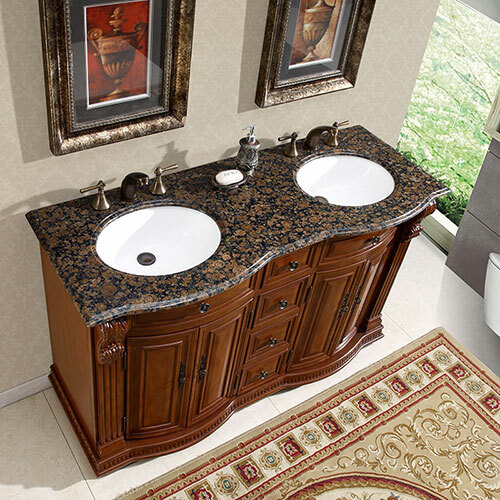 The counter top is Baltic brown granite, and it includes two undermount white ceramic sinks. It is also pre-drilled for standard widespread faucet installation. 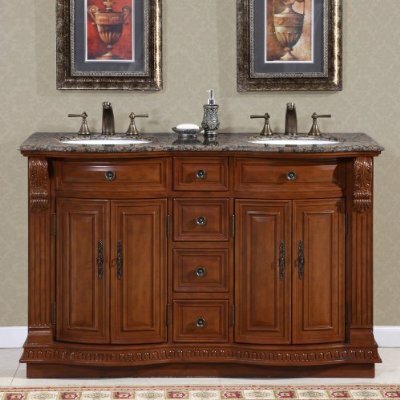 Four drawers and two double door cabinets offer ample storage. Faucets are sold separately.